USTA Central Arizona will be hosting its Annual Awards Banquet and Silent Auction at the Fiesta Resort Conference Center on April 26, 2008. We need your donation to help raise funds for USTA Central Arizona area programs. USTA Central Arizona is a 501 (c) 3 non-profit organization dedicated to the growth and development of tennis in Central Arizona. 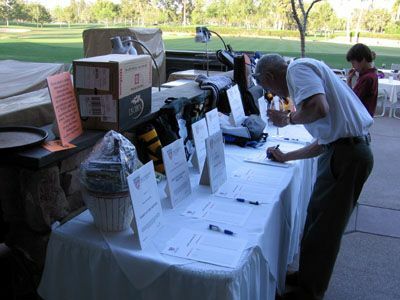 USTA Central Arizona would like to take this opportunity to request a donation from your business for the Silent Auction. All items should stand-alone and not require contingencies for purchase or other items or service please. Your company will be recognized for its donation in the event program and on our web site.